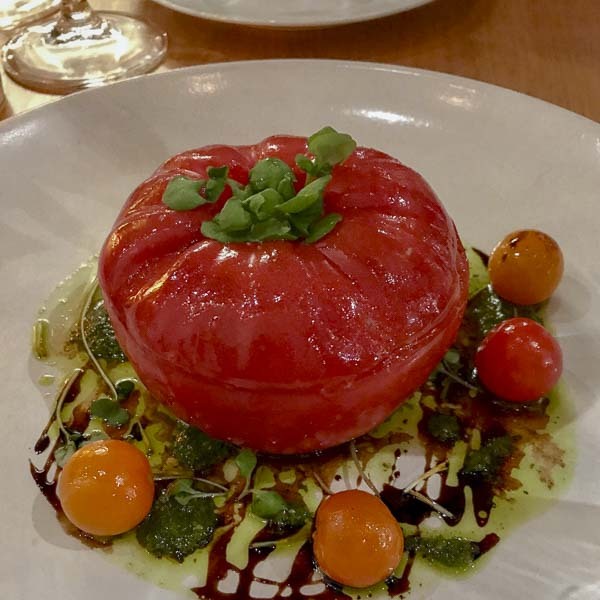 At the newly expanded Della Fattoria restaurant in Petaluma, California, chef Stephane Saint Louis hides burrata inside a tomato and surrounds it with a balsamic reduction and basil oil. He sent the dish to my table gratis when I had dinner there recently, and the tomato was so shiny and flawless that I didn’t think it was real. What a presentation. For do-it-yourselfers, here’s the method. A couple of different origin stories are floating around the Internet, but burrata is indisputably from Puglia—many credit the village of Andria—and of recent invention. Nancy Jenkins’s delightful cookbook Flavors of Puglia, published in 1997, allocated only one paragraph to it. Jenkins’s landlord at the time, who grew up in Puglia in the 1950s, told her the cheese didn’t exist during his childhood. Possibly it just didn’t exist in his town. Perishable foods didn’t travel far in southern Italy until refrigerated transport became more common in the 1960s, says Jenkins. “That’s one reason why Italian food has remained so determinedly regional,” she adds. 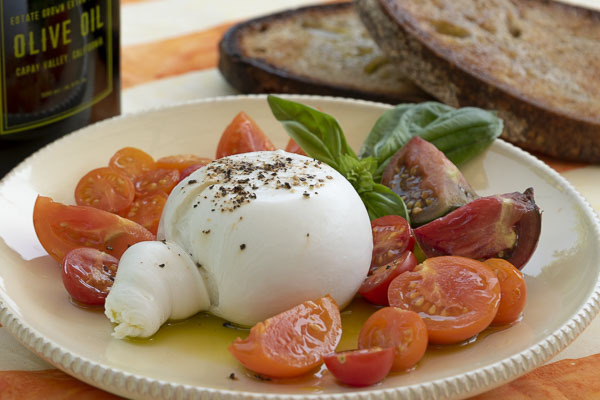 Juliana Uruburu of Market Hall Foods, the specialty food retailer in Oakland and Berkeley, recalls the store getting its first burrata from Italy in 2002. “We would bring in four pieces, wrapped in the traditional leaf that is now illegal,” says Uruburu. (The FDA hates leaves.) By 2010, the store was selling 40 a week. 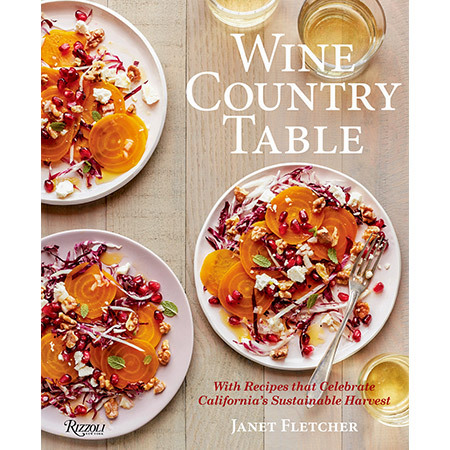 Now, the retailer orders 120 pieces weekly—all from California producers di Stefano and Gioa — and reliably sells out. Some say that burrata arose from the Pugliese habit of wasting nothing. Scraps from making mozzarella would be shredded, mixed with cultured cream and stuffed inside a pouch of stretched mozzarella. I'm not sure I buy this. Frugal people don’t salvage scraps by adding cream. I suspect some mozzarella maker dreamed up the recipe as a novelty and imitators soon followed.